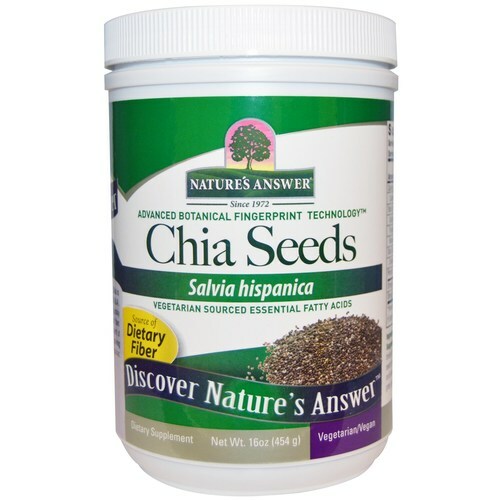 Increase the health of your heart with a great-tasting beverage created with Chia Seeds from Nature's Answer. Chia (Salvia hispanica L.) has been used as a staple food since the time of the Aztecs because of its many nutrients and ability to keep hunger at bay longer. 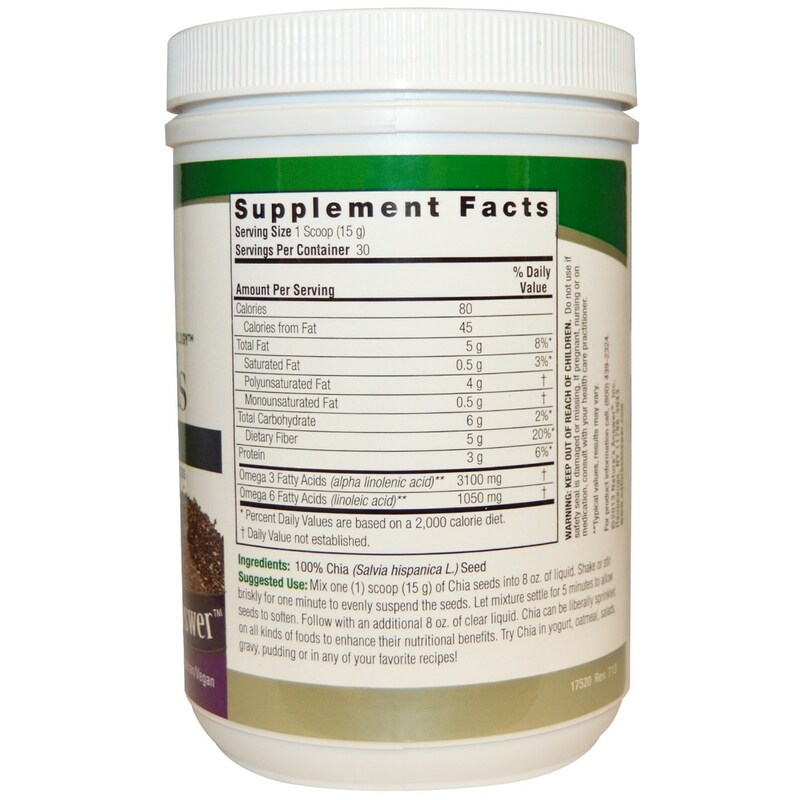 Chia Seeds from Nature's Answer contain high levels of omega-3 fatty acids which support cardiovascular health, joint mobility, immune system function and overall cellular energy. Chia also contains high levels of fiber, vitamins, magnesium, potassium, phophorus and beneficial mucilages. 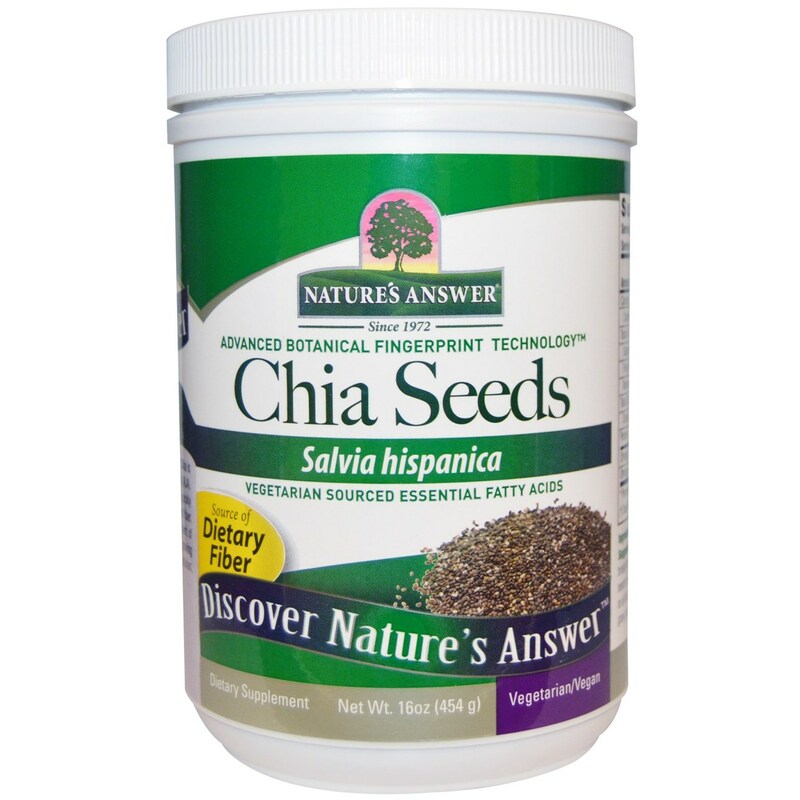 Create a healthy snack that will increase your overall health with Chia Seeds from Nature's Answer. Buy yours from eVitamins today and save! Notes: Contains no gluten, GMOs or pesticides. Suitable for vegetarians. 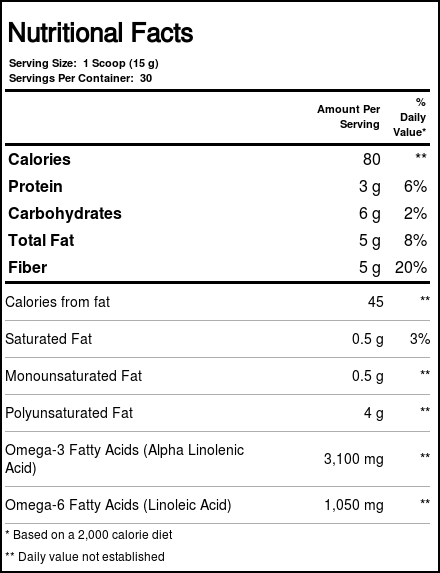 Recommended Use: Mix 1 scoop (15 g) of chia seeds into 8 fl oz of liquid. Shake or stir briskly for one minute to evenly suspend the seeds. Let mixture settle for five minutes to allow seeds to soften, then drink. Follow with an additional 8 fl oz of clear liquid.